Pasaportes Culturales can be used as a weekly cultural research inside or outside of the classroom. This will give students the exposure to cultural aspects that aren't easily taught with grammar and vocabulary. 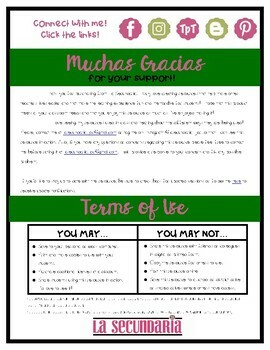 The download includes an English version for beginners and a Spanish version for more advanced learners. 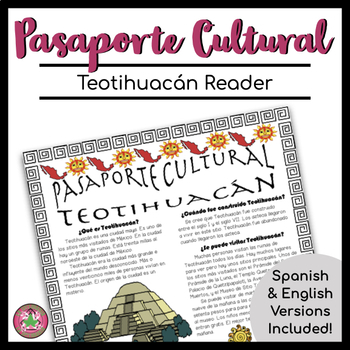 Use this reader to introduce TEOTIHUACÁN to your students and discover the popular landmark.